Today we’d like to introduce you to Kara-Jo Crisp. 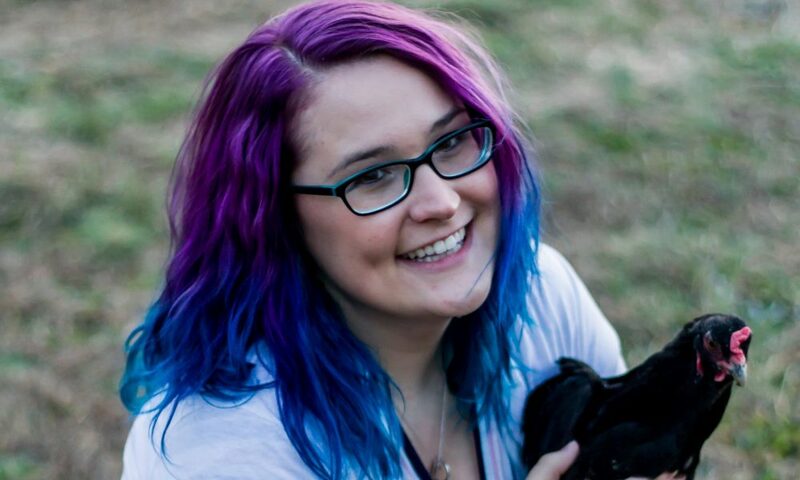 Kara-Jo, can you briefly walk us through your story – how you started and how you got to where you are today. I’ve always had a killer sweet tooth, and I have always been very driven. My passion for baking started when I was old enough to get my hands on the oven. If I had a hankering, I would just try to make it myself. I slowly graduated from box mixes to recipe books, to creating my own recipes from scratch. Since my teenage years, my baking has been what my father lovingly called “as addictive as crack”, but I was lacking in visual appeal. So, when it was time to choose a college route, pursuing my pastry degree from the Art Institute of Atlanta was a no-brainer. I absolutely loved my teachers, and the skills and knowledge that I gained from my education has been invaluable to my success today. After my schooling, I worked in a cupcakery for a short time, where my eyes were opened to the sacrifices a business must make in order to become “big”. I just couldn’t do it. Every day I would go into work and scoop pounds of cake mix powder out of a bucket, mix in some moistening and defining ingredients, put them in the oven, then dress them up and pass them off as freshly baked goods. Although, yes they were baked fresh every day, they were hardly baked with fresh ingredients. I decided there has to be a different way. That is when I decided I would start using my own recipes and the skills I acquired in school to carve my own path. In comes Peaches and Crème! My own bakery, where I set the standards, and quality is not sacrificed for quantity. I have taken things with my business pretty slow for a reason. I am constantly weary of spreading myself too thin. For this reason, it really has been a pretty smooth road looking at it as a whole. Of course, I am constantly scrutinizing my work, wishing I could “do better”, I see little imperfections that no one else notices, etc. Some of the biggest struggles that I have faced are my own expectations and the fact that I’m not very quick in the kitchen. 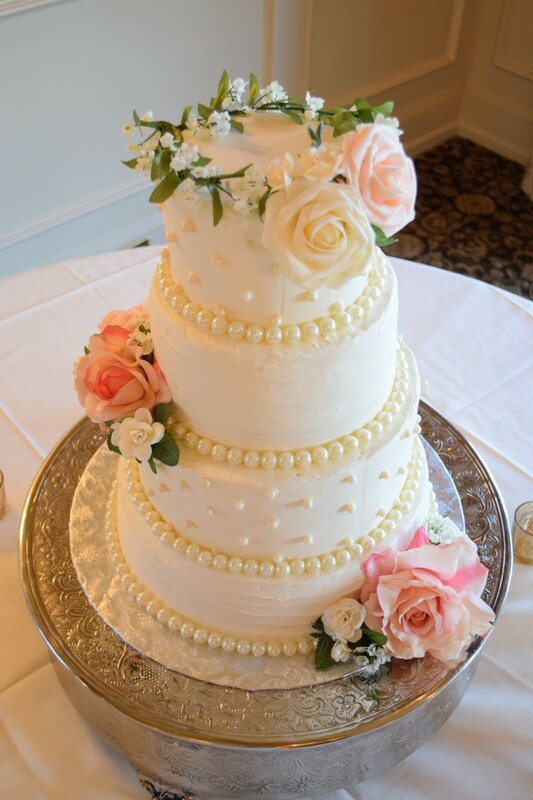 Most common looking wedding cakes averaging 100 servings take me about 8 hours of baking and assembly and another few hours for decorating, on top of a day spent cleaning and sanitizing before and clean up after. Elaborate cakes like my yearly showpieces take me upwards of 10 hours just on decorating, and since I refuse to deliver a cake that is more than a day or two old, that normally means I am up all night decorating. Because of this, the biggest struggle that I have faced so far has been getting back into the groove as an exclusively breastfeeding mom of a 3-month-old with a birth trauma. Right now it takes me about twice as long as normal to make a cake, but I know that this is a temporary situation, and luckily I am able to accept or deny jobs based on how busy that I want to be. So, as you know, we’re impressed with Peaches and Crème – tell our readers more, for example what you’re most proud of as a company and what sets you apart from others. 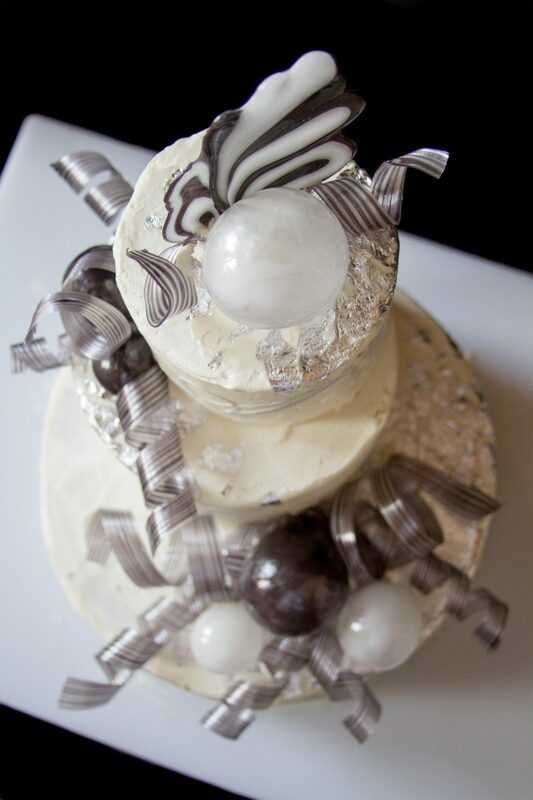 I pride myself on quality and I feel that we offer something that is very hard to find an amazing tasting cake that is also beautiful. We only bake fresh, from scratch, and with the best ingredients, we can get our hands on. I refuse to deliver a product that is any older than it absolutely has to be, and we do things the old fashion way here at Peaches and Crème Bakery. If it is possible for me to create or resource my ingredients myself or locally, I will. I bake with a homemade vanilla extract from grade A beans that I carefully choose, I collect farm fresh eggs straight from my hen house, and I get in-season fruits from orchards and farms here in Georgia. My specialty is wedding cakes. 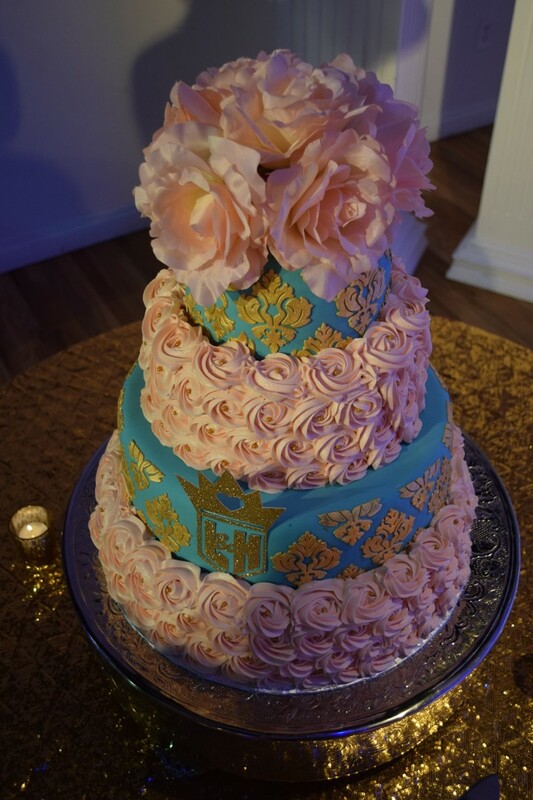 I absolutely love creating an astoundingly beautiful cake, it brings me so much pride to see people stare and point as I set up a cake at a venue. To also have these same people tell me time after time that it is the “best cake they have ever tasted” brings me a sense of accomplishment that I strive for. 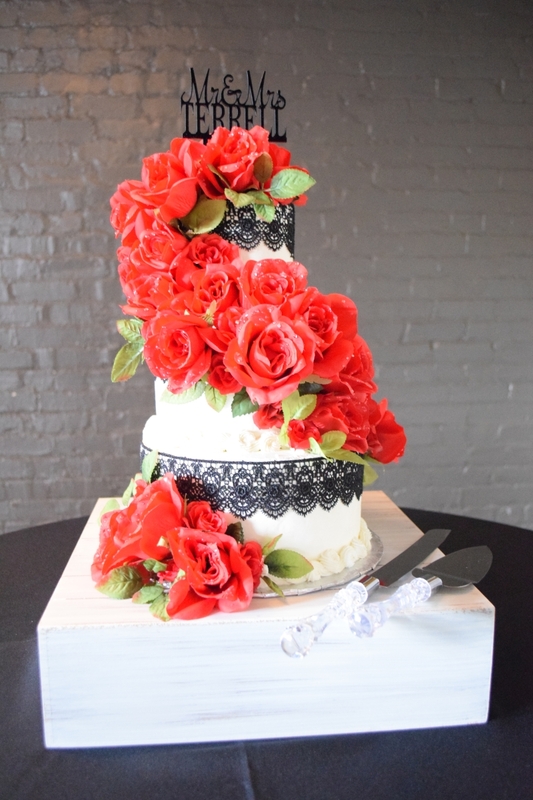 Normally you have to choose either looks or taste in a cake, not here. When you choose Peaches and Crème, you get to have your cake and eat it too; pun intended. 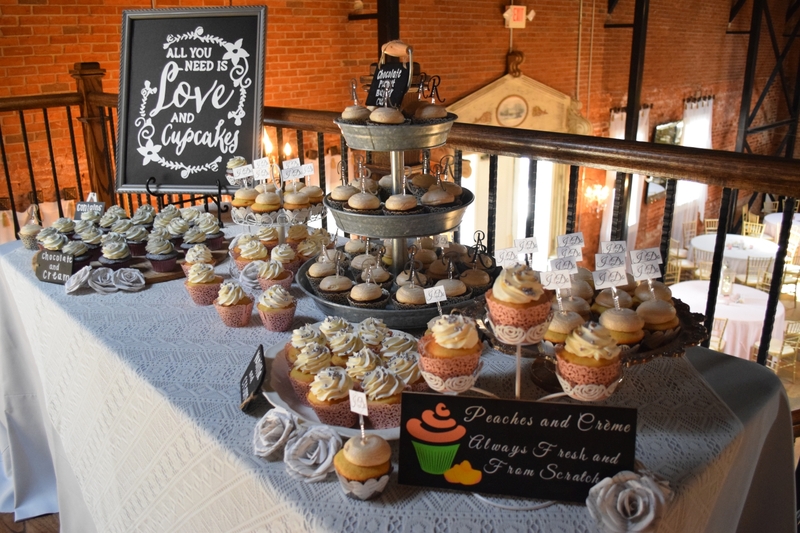 Well, actually I am strongly considering adjusting my services to weddings only, Although up until now, I have provided cakes, cupcakes, and treats for any occasion with a minimum of only 30 servings; weddings really are my passion. I am so grateful to all of my clients to date that have helped me to get to where I am. I never thought that I would have enough recognition and notoriety after just two short years to be considering this shift, but the love has been pouring in recently with wedding season bookings. My cakes are priced per serving starts at a base price of $2.50 per serving. Fondant covering including basic decorative accents is $1 per serving. Delivery is $25-$50 depending on the size of the cake, plus mileage. WE are so proud of you! You have a true passion for what you do, and it shows both in taste and appearance. Good Job, keep on baking! Her White Velvet Cake is to dye for!